India is blessed to have two great classical musical traditions – North Indian (Hindustani) and South Indian (Carnatic) music. These two traditions, although identical in theory have evolved separate styles. I play the sarod in the North Indian style of music. This style is highly improvised and is based on the raaga system. Raagas represent moods and are often associated with seasons and times of the day. I believe that the essence of Hindustani music is the emotion brought out in the raagas. 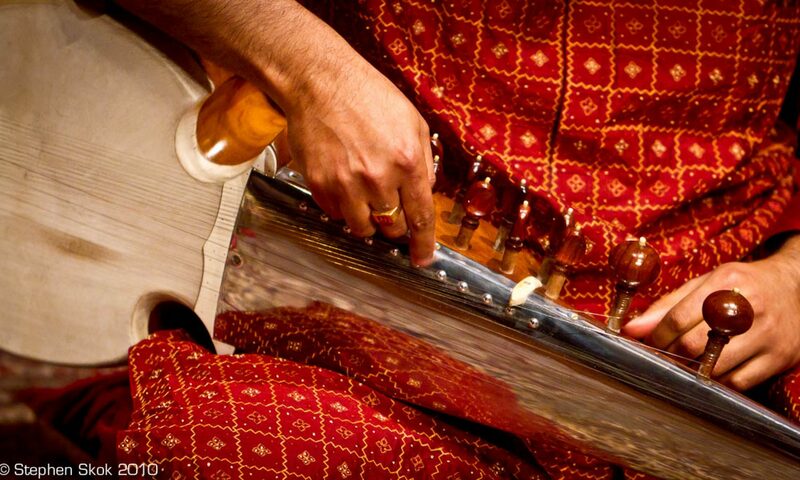 While dazzling technique can be quite pleasing, it should never overshadow the heart of the raaga. Hindustani (North Indian) Classical music is unique in that it preserves emotion even though it is a highly disciplined and rigorous art form. I often try and adapt vocal compositions to the sarod. These tend to be very well known compositions which are regarded as masterpieces. The adaptation of such pieces is a lifelong pursuit. Stumbled upon your lovely site. I hope to visit and listen to your shares. I am also a music lover, and a dedicated student of Hindustani vocal music.